Give your orchids a vacation by moving them outdoors for the summer! Even if you're not among those fortunate growers who live in mild weather all year round, your orchids can still benefit from being outside in the summer. After all, isn't that where thay grow naturally? Summer months are the active growing season for most orchids so why not give them a boost from Mother Nature! Plants that where clinging to life all winter in the house will suddenly come alive outdoors! The outdoor season is from mid-May to late September. Don't stretch it. Mimium temperatures for most orchids is 45 degrees (55 for Phals). Plants need time to acclimate. Start with total shade for all plants. Then, gradually move the high light plants into more sun. Burn spots on the leaves can happen quickly. Think of your first day on the beach after a long winter. Don't worry about the heat. If your plants are protected from direct sun and get good air circulation, heat shouldn't be a problem. Grow on benches or tables, not on the ground. Protect your plants from creepy crawlers. 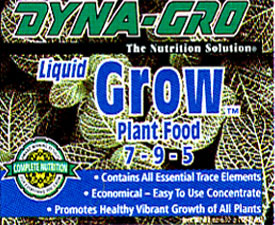 Many people ask about growing outside with our Hydroponic System. Why? It's those remarkable LECA pebbles. Growing outside with bark or moss means adjusting your watering schedule with the weather. In hot, dry weather your plants demand watering everyday. Then, when the weather turns cool and rainy, your plants get waterlogged. Ignore the elements and your plants will suffer. This can be a tricky business. Outside growing with hydroponics is easy! Our system actually stores water for hot, dry weather. Your plants use it as they need it. Soggy roots are never a problem in cool, damp weather either. LECA pebbles are a sterile ceramic that won't break down no matter how much rain you get. Replace all that old bark and moss and start enjoying the benefits of growing in LECA today!